Fully bake the potato (425°F, for about 60-90 minutes, until soft inside). Cut the potato in half, and scoop out the inside, while creating a "cup" with the potato. 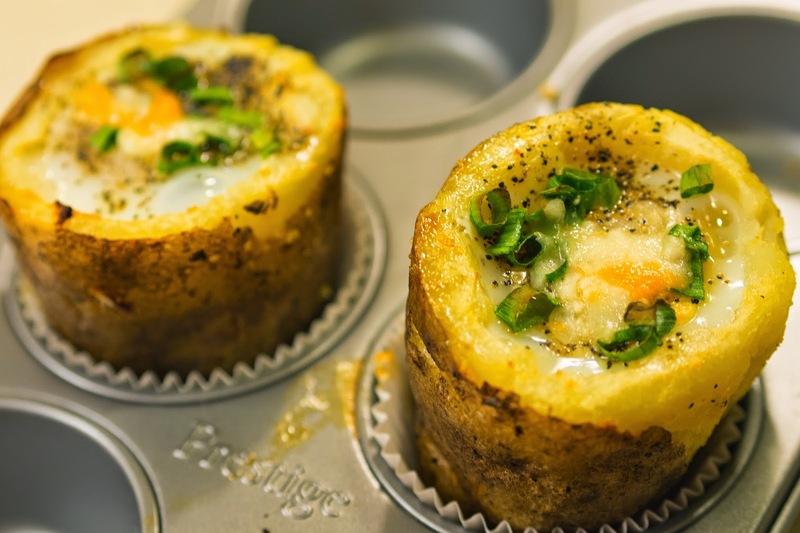 I used a muffin tray to hold the potato cups. 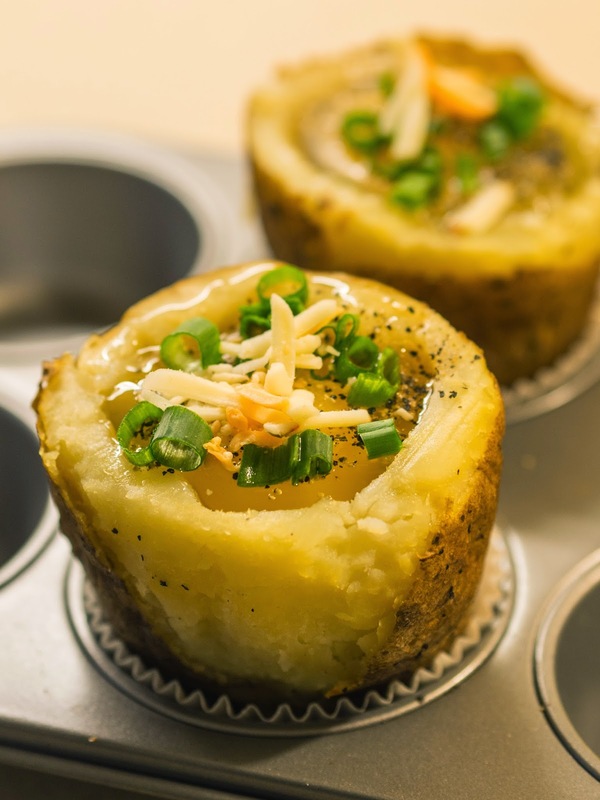 You can use the scooped out baked potato as a side for another meal. Add onion and green pepper into the potato cup. 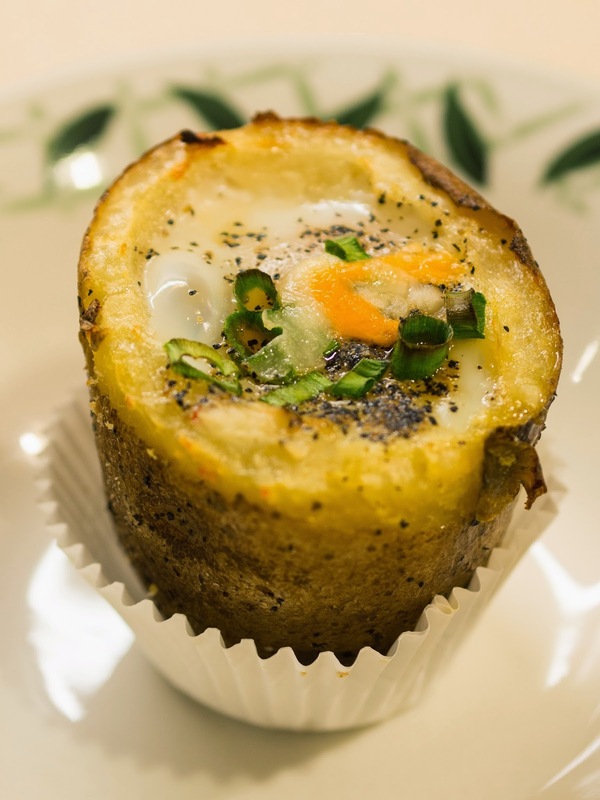 Break an egg into the potato cup; add salt and pepper to taste. Top with shredded cheese and spring onion.